Just finished these 6 new paintings and will be taking to the framer in edinburgh later this week. 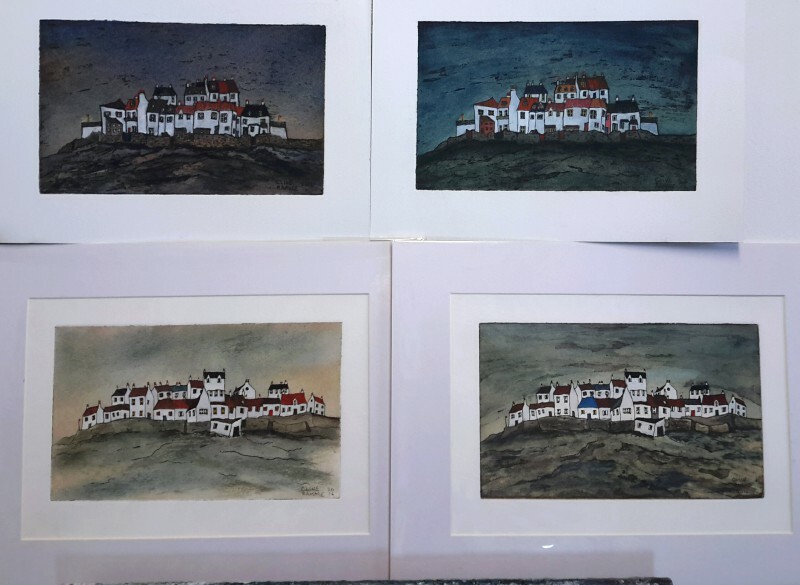 They’re off to the Quay Gallery in Aberdour, Fife, in a week or 2 and each is a hand-coloured etching painted in a variety of ways. The one on the right, The Old Town, Edinburgh, is 65x50cm and was only just finished this morning. It has a watercolour base for the sky and buildings and the hard work was done with my recently aquired Faber & Castell pastel pencils. These were bought on Ebay by accident as I thought I was getting watercolour pencils (I hit the bid button in a bit of a panic to win them). Anyway, I’m glad I did because they are fantastic! The middle painting, the 4th in my Dean Village series, is maianly watercolour over etching with a little copper acrylic for some of the roofs. It’s roughly the same size as Old Town. 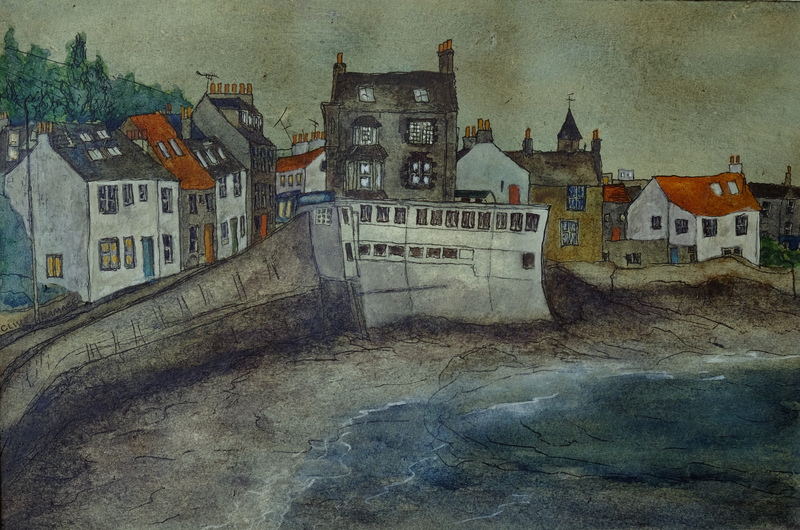 The other four paintings are done over 2 etchings of East Neuk scenes. Again, watercolour base with pastel and gouache for the buildings. 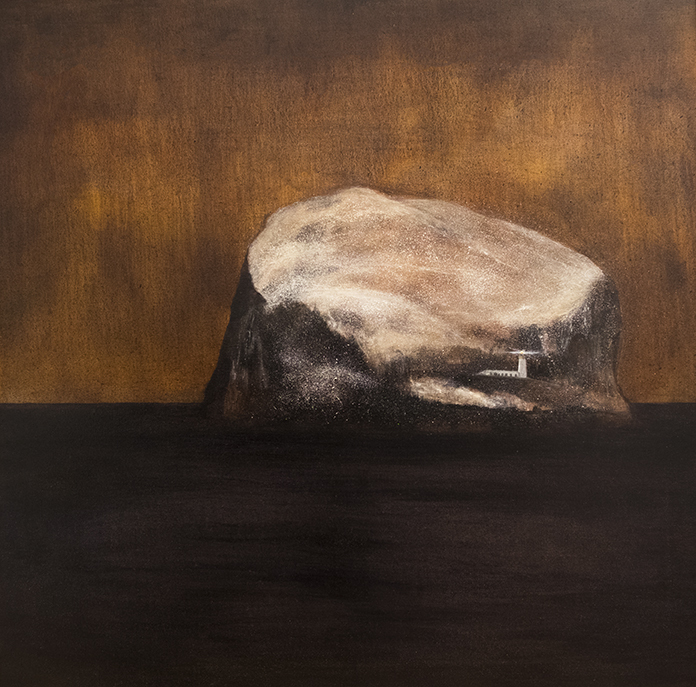 If you have the time do go to the Quay Gallery in Aberdour. 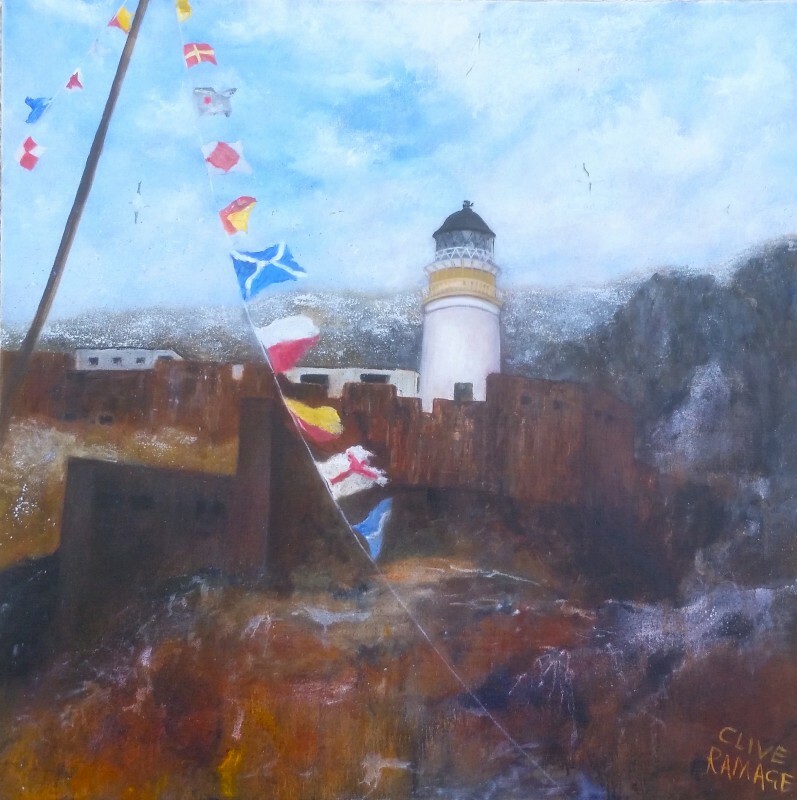 It’s a beautiful gallery and just happens to be in one of the loveliest seaside towns in Scotland. But wait a week or two!! 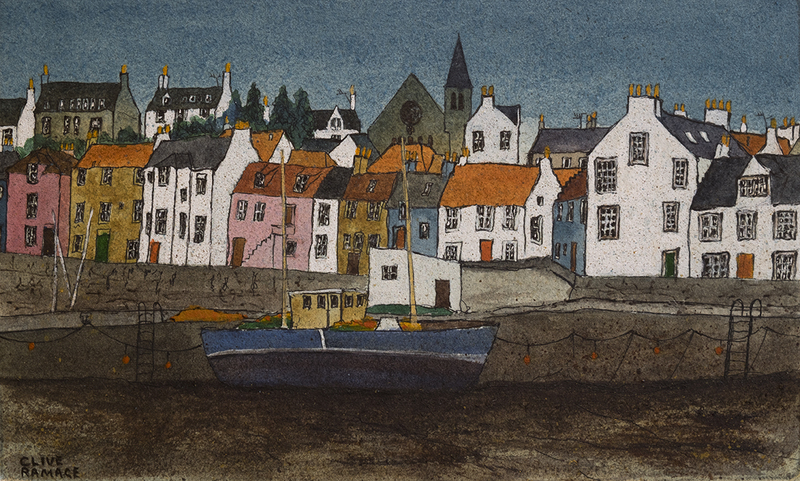 This entry was posted in New Work and tagged Anstruther, Art, artist, atmospheric, boats, Cellardyke, Clive Ramage, Dean Village, Dunfermline, East Neuk, Edinburgh, etching, etchings, exhibition, Fife, fine art, Fire Station Creative, Frames Gallery, Gallery Heinzel, Heinzel, low tide, mixed media, Morningside Gallery, Old Town, painting, print, printmaking, Scotland, seascape, sky, studio, studio work wip, Super Moon, water of leith, watercolour, Waverley station on 7th September 2016 by Clive. Here’s my latest in the Dean Village hand-finished etching series. This one, the forth in the series, took by far the longest to complete, but I think there is more fine detail and a greater variety of colours in this than any of the other 3 completed so far. I used copper acrylic paint to give some of the rooftops more lustre and if you look very closely you might see some gold dust stars in the night sky. 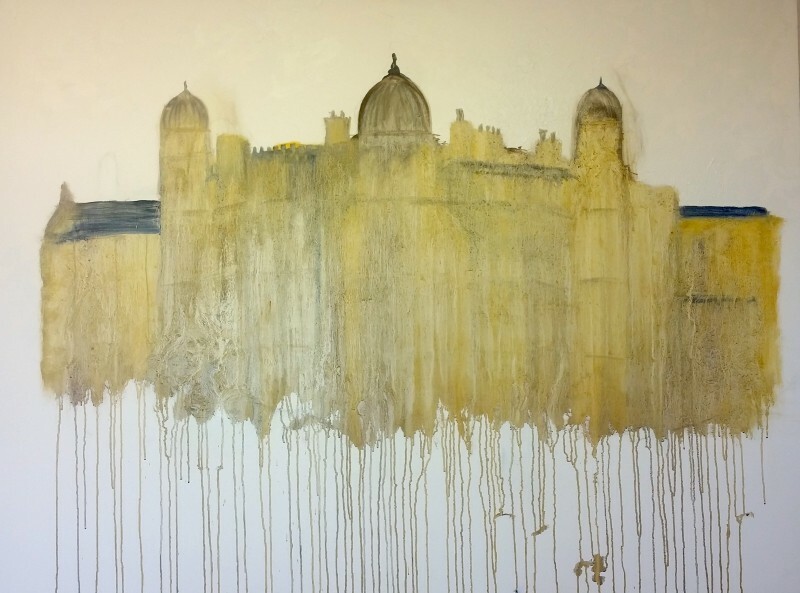 I’m taking a break from this project now to work on a large-scale oil painting of the Bank of Scotland building, which sits atop The Mound in Edinburgh. This particular building has always been one of my favourites in the city and it helps to make that Old Town skyline one of the best in the world (to my mind anyway). Here’s how it’s looking after the first wash of colours. A very long way to go as you can see. I’m delighted to have had an etching accepted for the 2016 Macmillan Art Show. This takes place at Bonhams between 25-28th August and further details can be found in Scottish Art Scene article below (click the link to view the pdf). 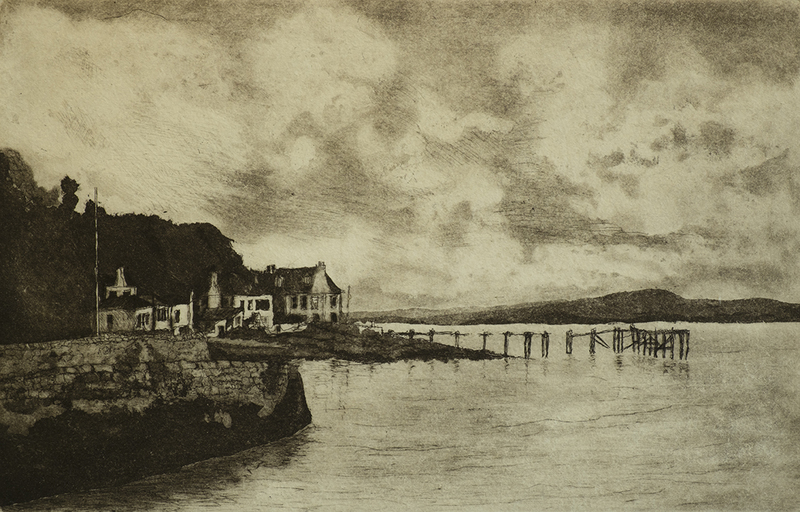 My etching of Arthurs Seat & Calton Hill is featured in the article, along with a short blurb about how it was made. Some of the other artists who’s works are also going to be on show are also featured. 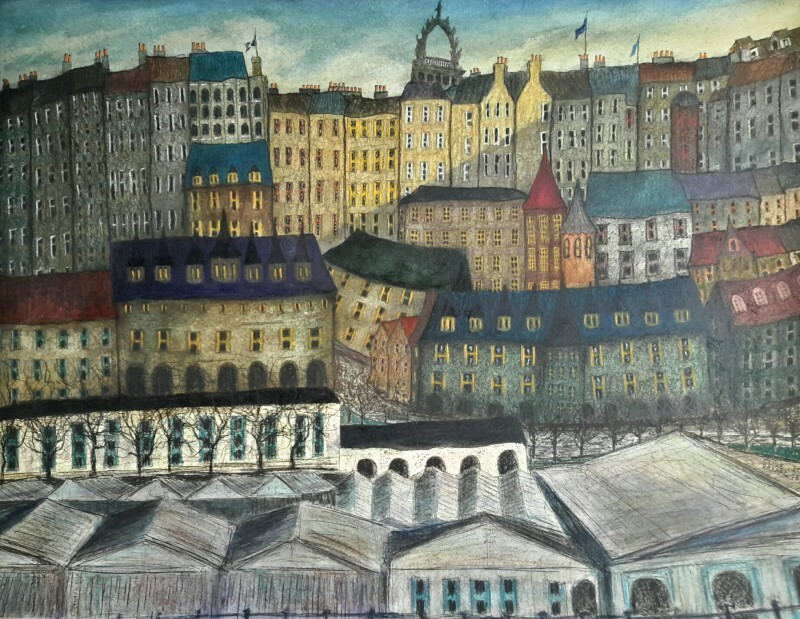 This entry was posted in New Work and tagged acrylic, architecture, Art, artist, atmospheric, atomspheric, Bank of Scotland, Bonhams, Clive Ramage, colourful, colourist, copper, copper roofs, Dean Village, Dunfermline, dusk, Edinburgh, Edinburgh Art Fair, etching, etchings, exhibition, Fife, fine art, Fire Station Creative, Frames Gallery, Gallery Heinzel, Heinzel, landscape, Macmillan art show, mini painting, mixed media, Morningside, Morningside Gallery, new painting, nightfall, old edinburgh, painting, printmaking, Scotland, Scottish art, Scottish artist, starry night, The Mound, trees, watercolour, WIP on 17th August 2016 by Clive. 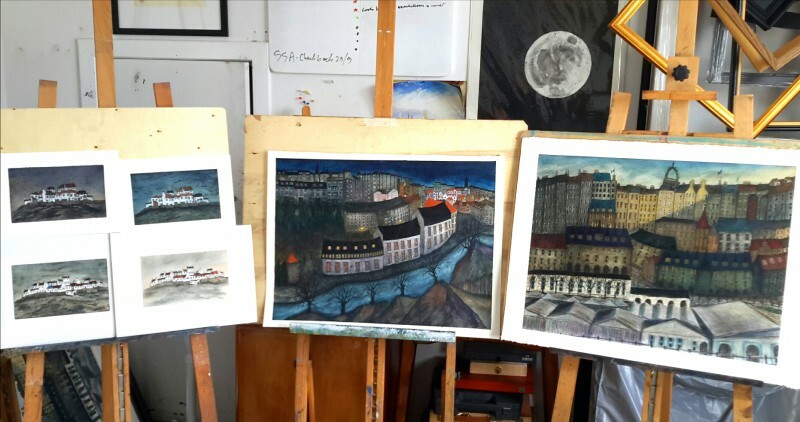 Charity Exhibitions – A Great Way For Artists To Exhibit! I was delighted to sell this painting of Dean Village at Dusk along with a Super Moon aquatint this weekend and help to raise some funds in the process for St Columbas Hospice in Edinburgh. 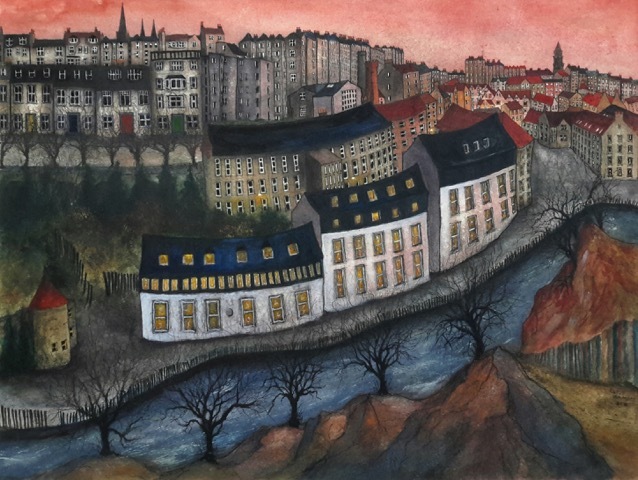 I recently finished the painting below (Dean Village Sunset) which will be up for sale later this month along some more of my work in support of Maggie’s Cancer Care. The way I see it, working with charities like this is a ‘win win’ way of exhibiting my work. Selling art through charity exhibitions is a fantastic way to increase both the profile of artists and the charities and I would love to see more of this kind of opportunity for both to work together. It works the same way galleries do, in that the charity takes a percentage commission for any sales made. So the artist still gets paid appropriately for their work, but the charity makes money too. I know many galleries are struggling in today’s tough economic climate, and art can be seen as a luxury, but if those who appreciate art feel like they’re also helping to give something back to society while getting something that they can cherish forever then that is a real double whammy for all concerned! Not to mention the important point that any sale helps to promote art and artists and to encourage them to continue to do what they and hopefully some others love. I’ll certainly be looking out for more opportunities to sell my work via charity exhibitions in future. Watch this space! 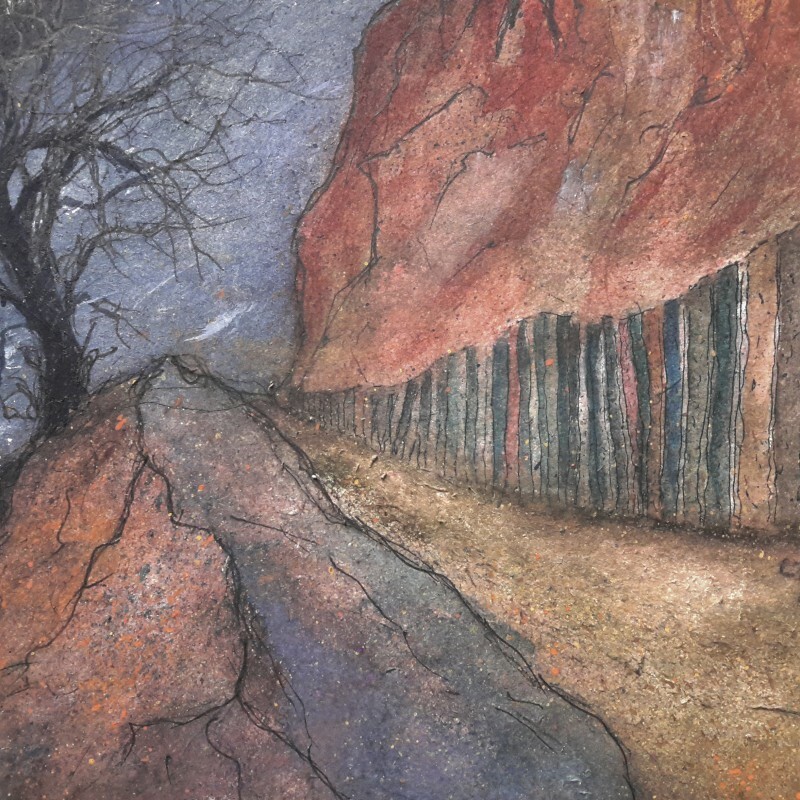 This entry was posted in New Work and tagged Art, artist, Clive Ramage, Dean Village, Dean Village painting, Dunfermline, Edinburgh, Edinburgh Art Fair, etching, exhibition, Fife, fine art, Fire Station Creative, Frames Gallery, Heinzel, landscape, mixed media, Morningside, Morningside Gallery, painting, print, printmaking, prints, Scotland, Stockbridge, Super Moon on 7th June 2016 by Clive. 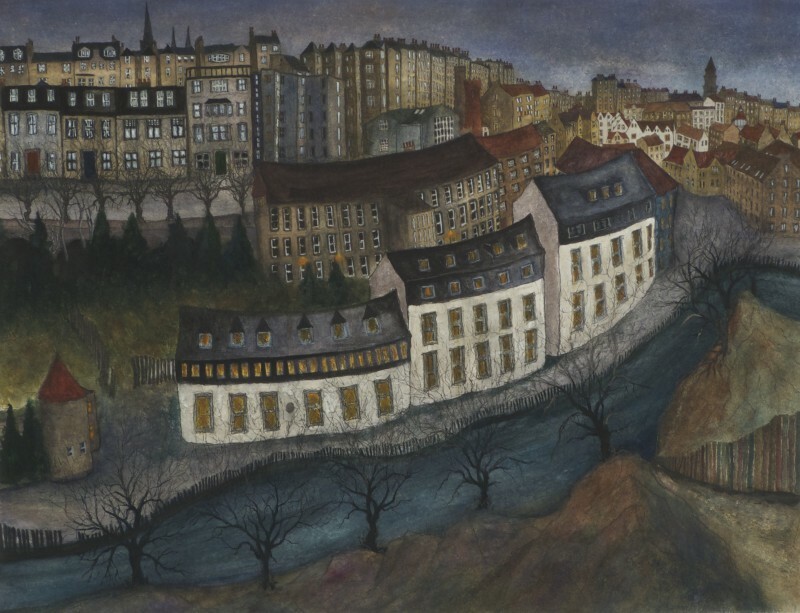 Here is my latest version of Dean Village in Edinburgh. 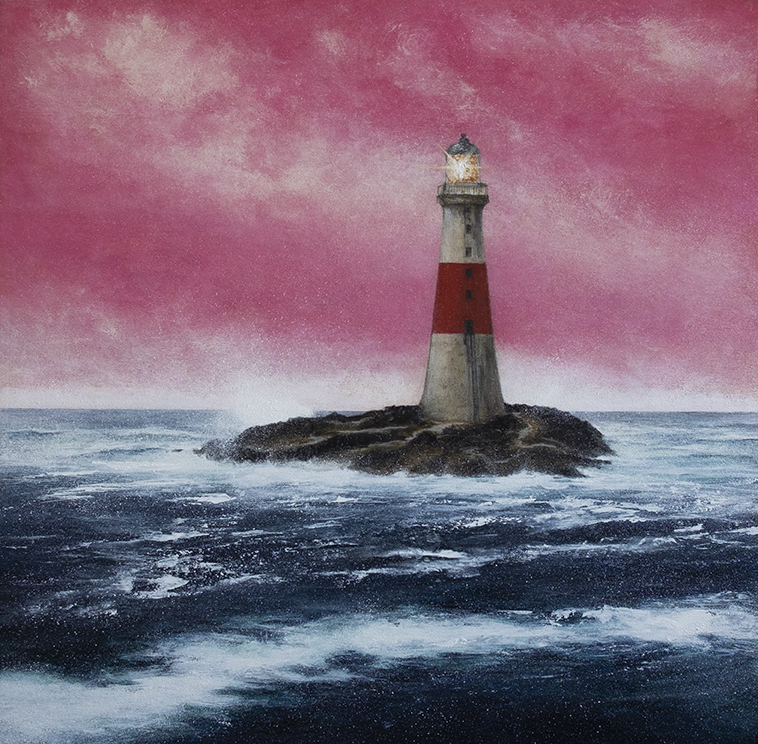 It’s another hand-painted etching and I have focused here on the pinks and blues of the setting sun. I have also added a detail of the bottom right-hand corner of the painting below to show better how the colours are built up in layers using various methods. 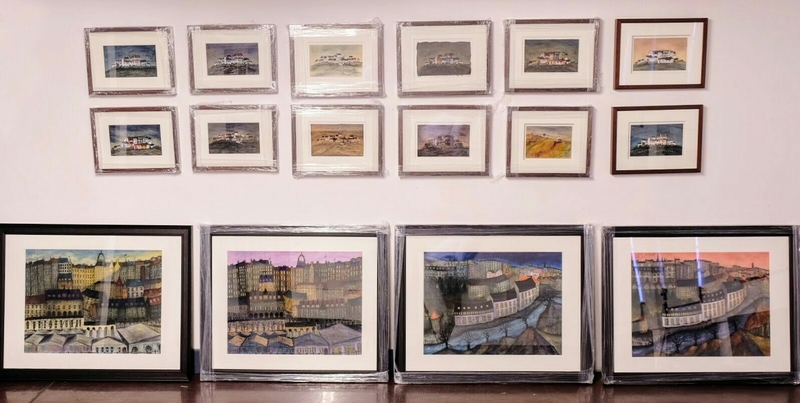 I currently have work in 4 separate exhibitions this month and also next, including the Royal Scottish Society of Painters in Watercolour at The Meffin in Forfar; Fire Station Creative, Dunfermline and arTay (Perth Festival of The Arts). We will also be opening our doors once again at the Fire Station Open Studios event over the whole of next weekend from the evening of Friday 27th and all day Sat/Sun 28 & 29th (10-4pm). Celie and me have completely covered our studio’s walls along with half the walls in the building with work to see and buy! Do come along if you’re in the area, or make a special trip and I assure you it will be worth it. Lots of very good work and interesting artists to see and meet and also great entertainment in the cafe throughout the weekend. Finally, I will be exhibiting and hopefully selling my work alongside a selection of other artists in support of the St Columbas Hospice from the 3-5th June. Please come along to any or all of these events and remember to say hello if you do. 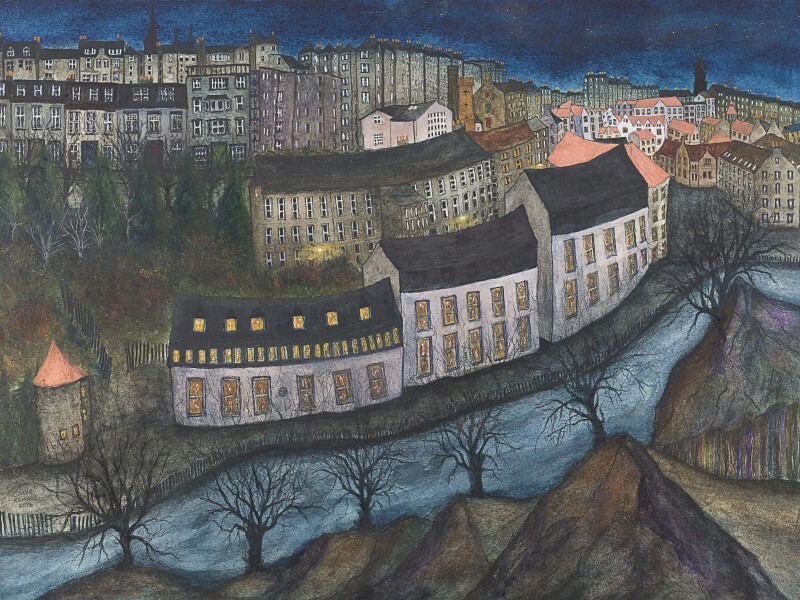 This entry was posted in New Work and tagged Art, artist, atmospheric, blue, Clive Ramage, Dean Village, Dunfermline, East Neuk, Edinburgh, etching, etchings, exhibition, Fife, fine art, Fire Station Creative, Frames Gallery, Gallery, Gallery Heinzel, Heinzel, landscape, Marchmont Gallery, mixed media, Morningside, Morningside Gallery, painting, pink, print, printmaking, prints, Scotland on 20th May 2016 by Clive.